So many of our teammates desire “crowns” and for different reasons, how do we as leaders help them understand that there are no automatic coronations? Over the last 25+ years I have done a lot of reading on leadership and what it takes to be the best leader you can be. My theory, of course, was that if you worked hard and developed your leadership capabilities that this would also result in being able to climb the corporate ladder. At one point I was able to participate in “The Leadership Challenge” which is a program developed by Kouzes – Posner. My “AHA Moment” out of all the self-reflection, feedback and work was that someone can do everything that the leadership books says but ultimately it is relationships that gets you your next job. That is a very simplified way of describing a very complex topic. Throughout my whole working life, it has been a frustration of mine that hard work, capability, and passion should be enough for you to rise to your next position. Someone should just recognize that you have what it takes and come back for you – give you your shot. I read an HBR blog a while ago that captured it perfectly (even though it applied to women I think it is valid for men too) it was called…. the “tiara syndrome,” the belief that outstanding performance is automatically crowned with a promotion. 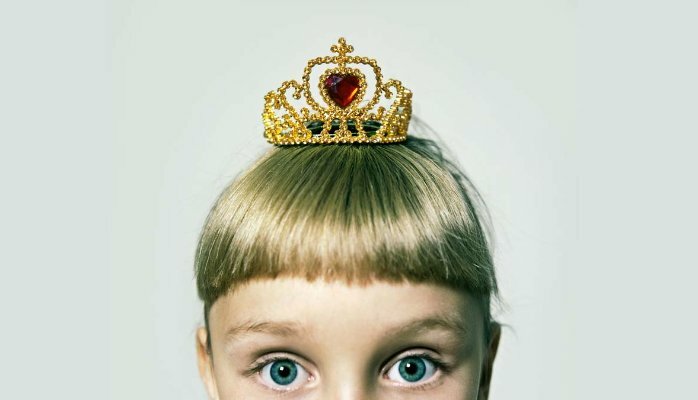 It is often a big challenge for emerging leaders to navigate “The Tiara Syndrome” (a term coined by Carol Frohlinger and Deborah Kolb, the founders of Negotiating Women, Inc.). What most are looking for is the “ticky box” list of things they had to do to get their promotion. The conversation is always tough because in order for them to get to the next level it is going to take…. It can take a lifetime to learn all of that and some folks never get there. While hard work and capabilities are “table steaks” the real key is having influential relationships. Knowing someone and chatting with them from time to time is not a relationship. A relationship implies some form of trust, vulnerability, connection, shared experiences and comfort level with one another. These are rare – but critical to your success if you have them genuinely with the right people. The HBR article talks about sponsors – but I don’t think that quite describes it. I think it is much more than that and if done well – can change your life and the lives of those around you. Even these relationships are no guarantee as there are other factors and people that come into play unexpectedly that can thwart your ability to rise within the organization. I had a conversation with a female executive recently who described a situation she faced that illustrates this really well. A couple of years ago she had been working with a sponsor as part of their organization’s career development planning. They had been working on preparing her for her next role. When the role opened up…this executive went to the sponsor to inquire if she had to apply…or if she would just be presented with an offer…what was the process? She was told….”Well…you need to understand…a friend of another executive was unexpectedly out of work and he was being offered the position instead. We appreciate you…you’ll just have to wait till next time.” She could not have anticipated this twist and no amount of hard work could have changed the outcome. Your teams need you to be the best you can be and the experience you gain can never be taken away from you. Organizations need great leaders at all levels and we would always like to believe that the hard work and diligence pays off in promotions but sadly they often do not…or in the time frame you would like. Having strategic relationships helps and you have to work your network constantly….purposefully and with a genuine open heart. In the end – you may run into situations where despite relationship and best efforts you are overlooked for promotion. Take heart – you will be ready for your next one….whether that be inside your current organization or in a new one that can benefit from all the gifts you have to give. Don’t be afraid to look yourself in the mirror and find the courage to do what is best for you. More often than not if you have been at a company a long time and you are continuously passed over for promotion….moved laterally…or told you still need to “prove yourself”….it’s time to leave. It may not result in the big promotion you dreamed of…but it will stretch and challenge you which is what you may really need most! Do you agree or disagree that a “career plan” is setting the wrong expectation as teammates look to take on their next job? I believe that getting into a leadership position is not a checklist of things you do and then you get it – it takes work from the inside out. How do we do a better job of articulating that and coaching them through it? Can we? How do we prepare our future leaders to understand the politics that are in play that can either assist them in being promoted or in navigating better through the curve balls they are thrown? Be sure to continue the conversation by liking, commenting or sharing this article. You can also follow me on twitter @marciedwhite.